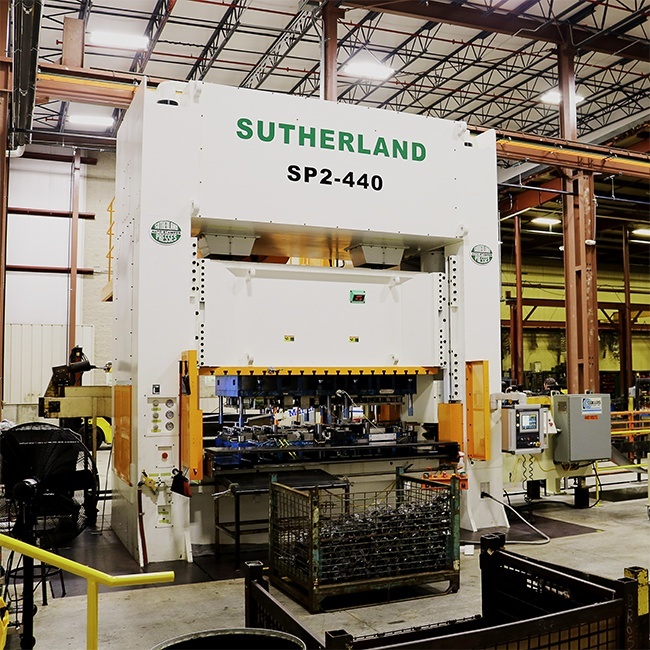 Sutherland’s SP2 Double Point Straight Side Presses are the perfect match for virtually any application. 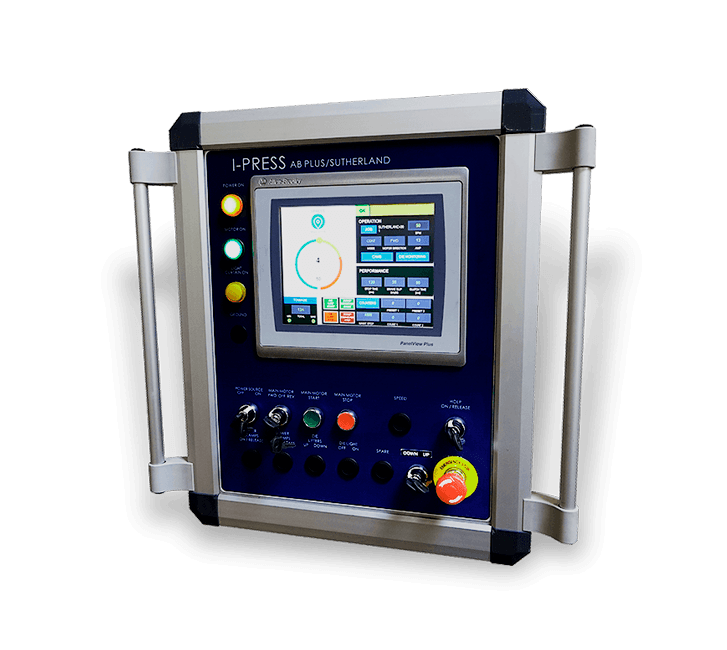 These presses are built to last, with crankshafts rated at 150% capacity, keyed HOLPs rated at 110%, and tie rod frame designs for maximum strength and rigidity. The SP2 has been engineered for versatility, and can be outfitted with a variety of drives, including eccentric geared, single or double geared, and crank or link motion. With large bed sizes ranging from 72” to 180” left-to-right and 240” left-to-right with a center drive system, the SP2 is a super-duty press ready to take on the toughest jobs.